What? 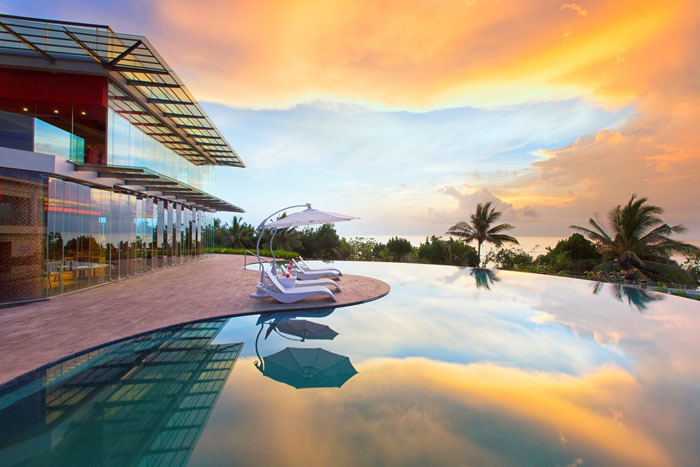 Be the first to visit Sheraton’s new resort on Bali – the Sheraton Bali Kuta Resort. The new resort offers guests three dining venues, fully equipped fitness centre and state of the art business suites. For a limited time, the resort is offering an “Experience Sheraton” package from $225 per night including accommodation in a deluxe guestroom, breakfast for two at Feast, one-way airport transfer from or to Bali International Ngurah Rai Airport. Yes! Could definitely do with being here rather than in freezing London!